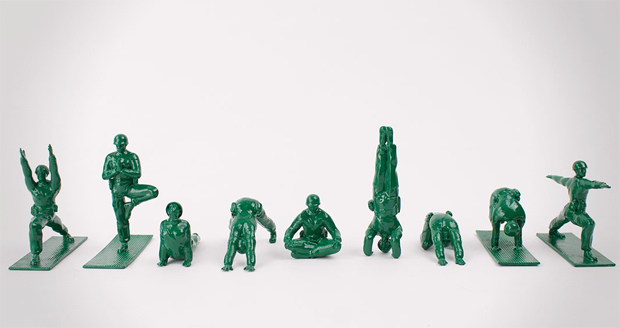 If you always wanted a set of toy soldiers but hated the idea of glorifying the slaughter of tiny plastic green men, then you’re an idiot, they’re plastic! 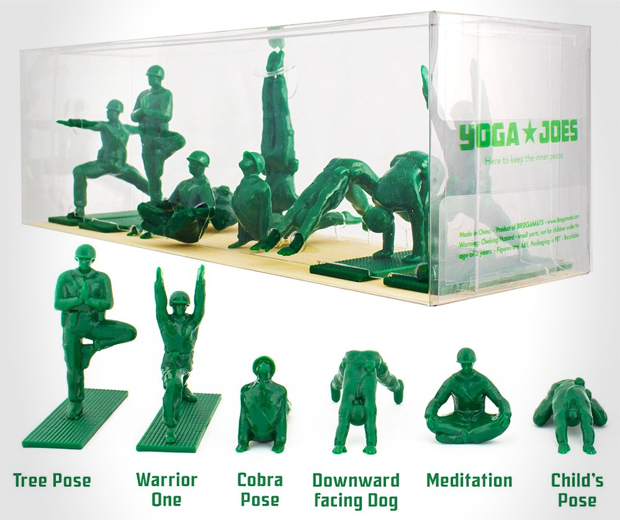 But don’t worry, because now Yoga Joes’ Green Army Men Toys have the perfect gift for you. 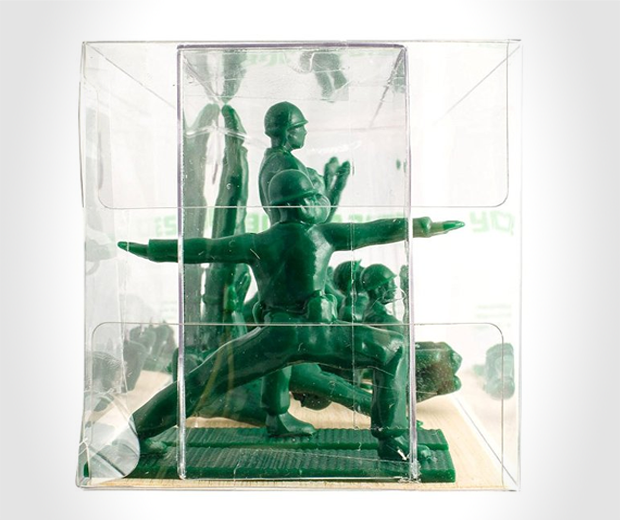 This pack of nine plastic army men in yoga positions comes with a mini yoga studio to keep them in, and is a lovely gift for adults and children. The only unrealistic aspect of these toys is that the soldiers are fully kitted out. We all know our government loves sending underfunded soldiers into battle wearing just their underwear and a smile. 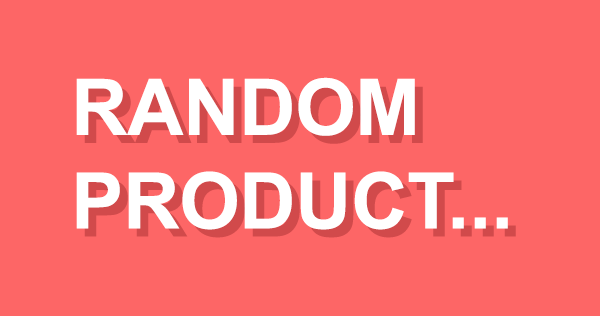 Maybe that should be the theme of the next set.